Is Bletchley Park about codes, machines or people? Of those, the most fascinating stories come from the people who did this incredible job, and then kept it absolutely secret, for at least another 30 years. Their memories are precious and it’s crucial that we capture as many as we can, so that future generations can read and listen to their first-hand accounts of not only their amazing achievements, but what life was like during those defining years. A new exhibition in the glorious Garden Room in the Victorian mansion, Veterans’ Stories, celebrates the Oral History Project by showcasing extracts. In this episode, we meet Pat Field, who broke Japanese codes and translated messages, right at the end of the war. We also hear from Joan Ireland, a civilian who was set to work on Type X machines, the British answer to Enigma but had to dodge pigs, horses and Italian Tenors just to get home. 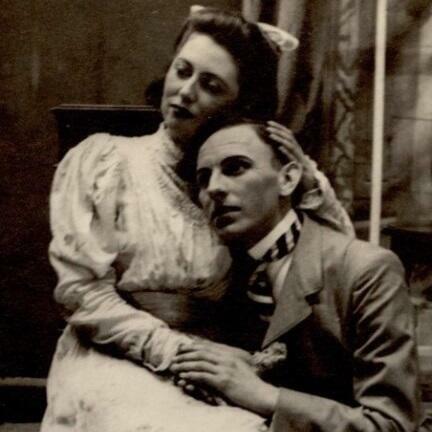 Image: ©Pat Field - Performing in The Importance of Being Earnest at Bletchley Park during WW2.